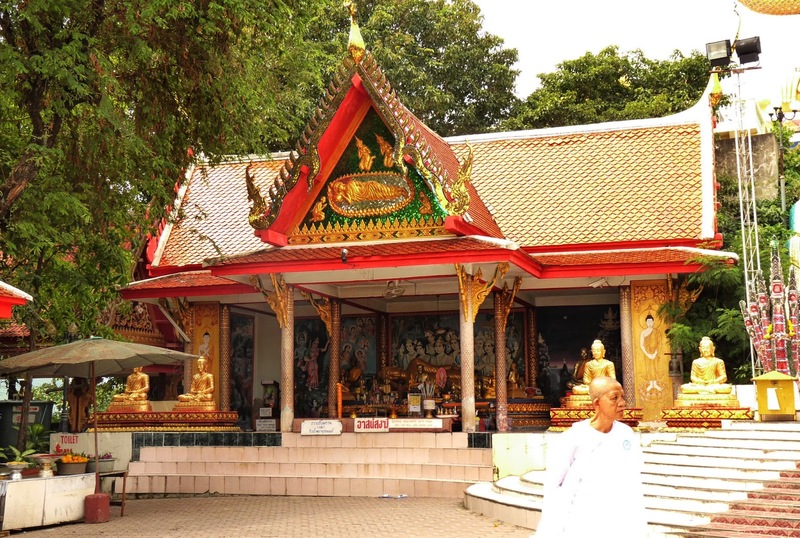 One of the most famous temple in Koh Smaui is Wat Phra Yai which translates to Temple of Big Buddha. 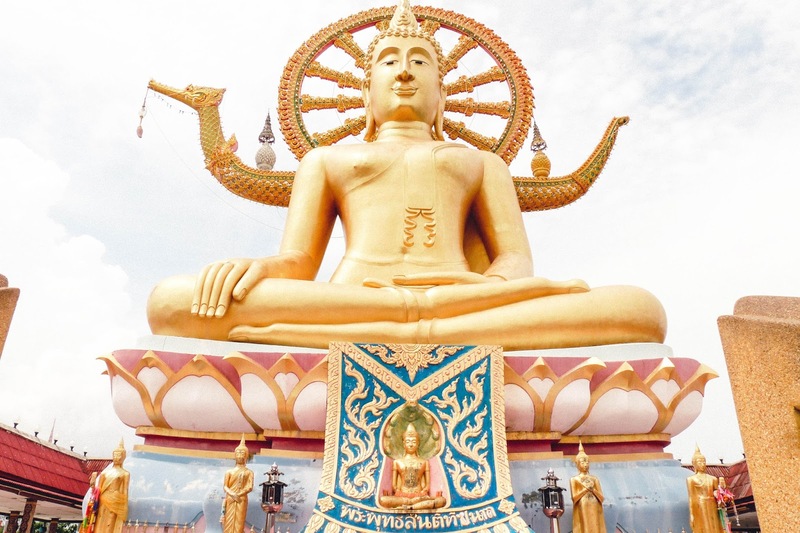 The temple is located on a small island north-east of Koh Samui , the 12 meter high Golden Status was built in the year 1972 and its one of the first landmarks people see when lading at the Koh Samui airport . Around the base of the statue you have a courtyard surrounded with souvenirs shops and shops selling amulets and religious artefacts. 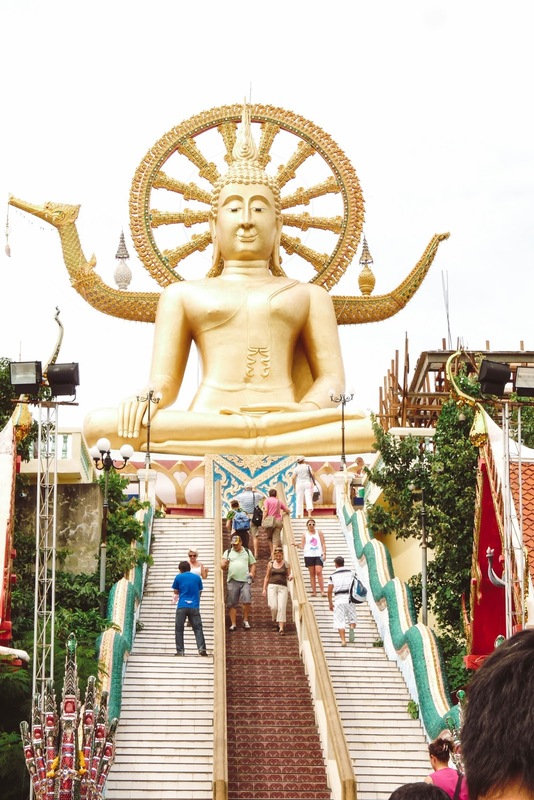 There are a few restaurants and snack centres as well, when I went to visit the Big Buddha it was very hot ! remember to take a cap, umbrella etc. and stay hydrated . 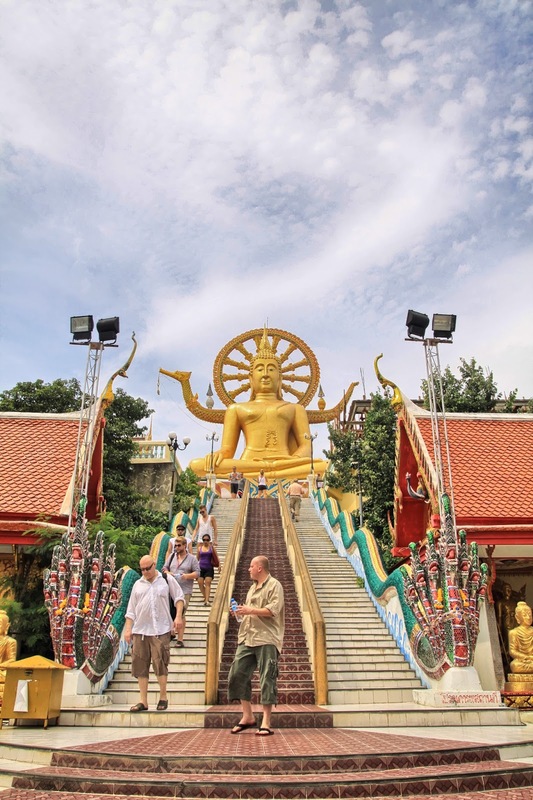 The Big Buddha temple is definitely worth visiting and the best time would be around 5 to 6. Make sure to carry the widest lens in your arsenal to get the big status and the steps leading up to it in a single frame. If time is limited I would recommend visiting Wat Pali Laem as it has more character and really beautiful architecture.